Listing is for ONE tumbler in the size you choose. For more than one, please choose the quantity needed from the drop down menu and provide all personalization info in the box. 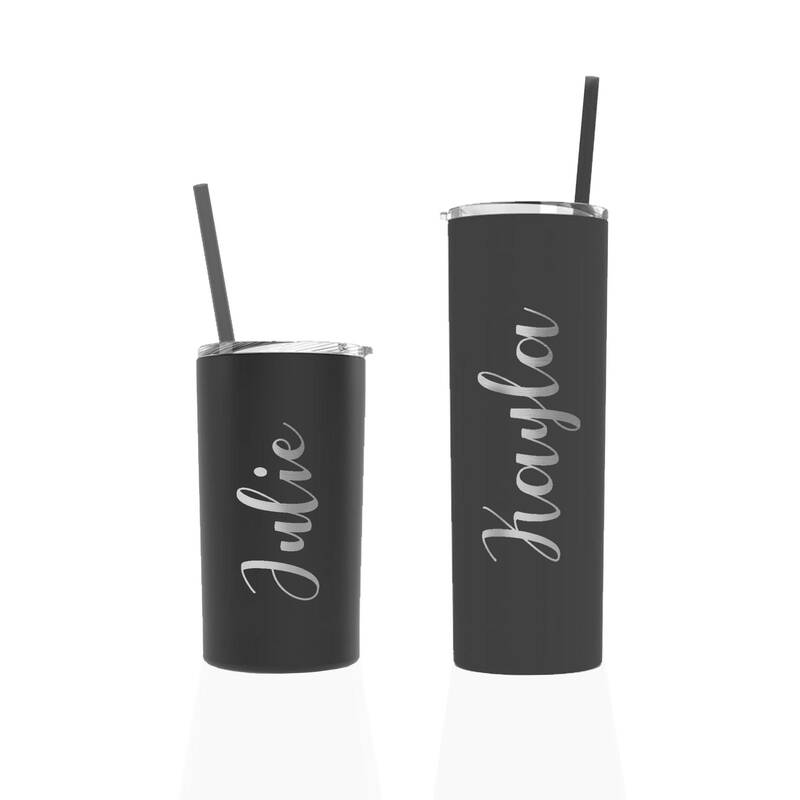 These skinny tumblers are permanently laser engraved into the cup exposing the stainless steel. It is available in a 12 oz or 20 oz double wall 18/8 stainless steel vacuum insulated travel tumbler with a powder coated finished that protects against chips and scratches. Comes with a clear, translucent push-on lid with colored straw. Non-toxic and BPA free. 📦SHIPPING: Your item will come USPS shipping.